Broken Social Scene were a somewhat unlikely talk of the town at this year’s South by Southwest, a festival more often associated with much younger acts: everyone you talked to seemed to be on their way back from seeing the Canadian indie rock vets, or on their way to seeing them later, or considering seeing them tomorrow. 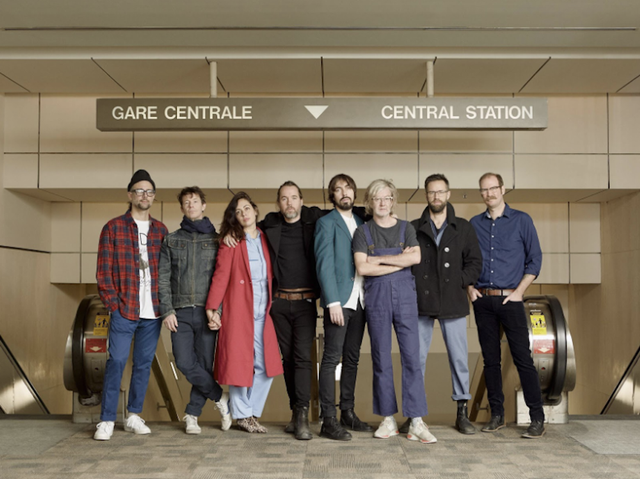 Coming off whatever buzz their run of shows in Austin afforded them, they’ve announced a new EP called Let’s Try The After – Vol 2, which follows the release of Let’s Try The After – Vol 1 last month. The band has also released “Can’t Find My Heart,” the first track from the EP. It’s pure BSS: atmospheric intro, surging post-punk rhythm, big chorus, lots of little melodic squiggles happening in the background. They first debuted the song in a live rendition on the Strombo Show in January, along with “1972,” a track from Let’s Try The After – Vol 1. Let’s Try The After – Vol 2 will be released digitally on April 12, and packaged together with the first volume on vinyl for Record Store Day the following day. Hear “Can’t Find My Heart” below.